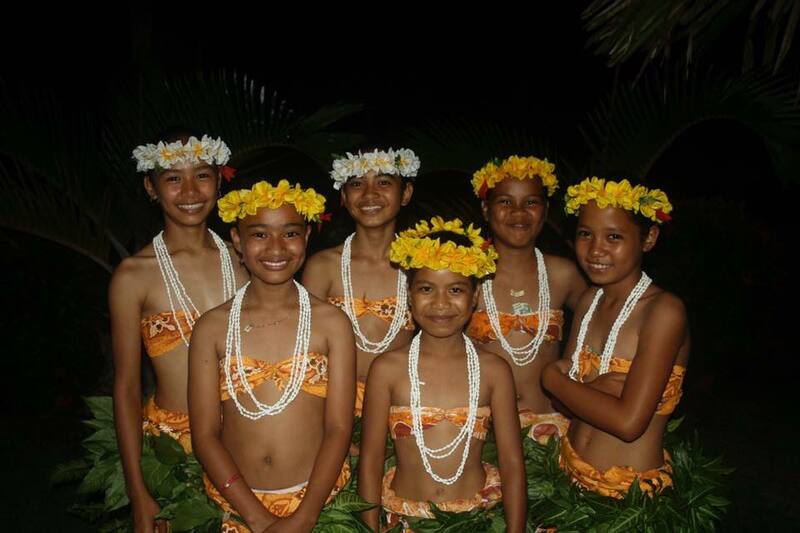 Kosrae has been described as an unblemished garden of flowers, palms and citrus trees. 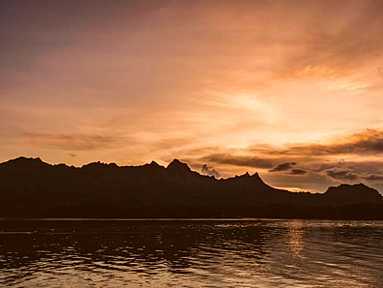 The air is fresh on Kosrae and adventure beckons those wanting to truly get away from it all. 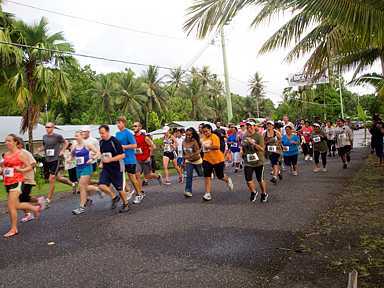 Steeped in the history of many decades, the island invites exploration. There are mysterious ancient Lelu ruins similar to those of Nan Madol on Pohnpei.World war artifacts, cave systems and remnants abound and there's even a pirate ship sunk beneath the waves. 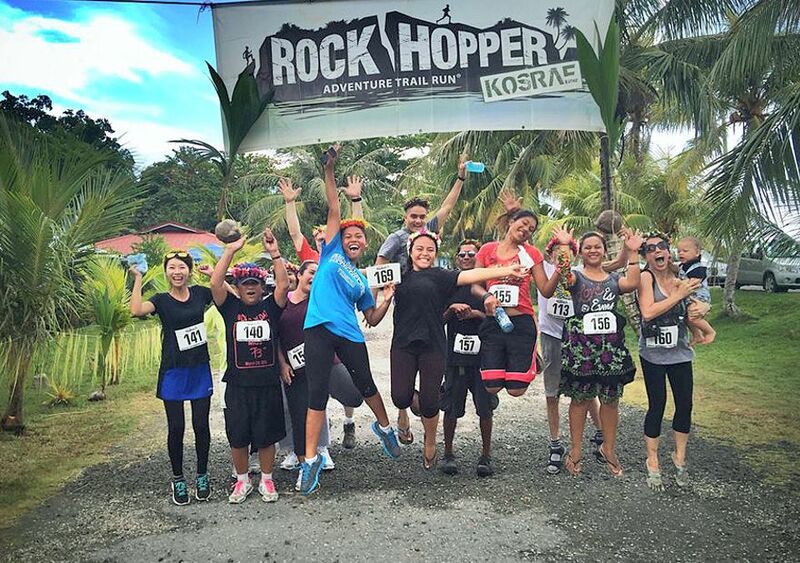 A hike up Kosrae's famous Mount Finkol called "Sleeping Lady" will take the explorer past a series of gushing waterfalls pouring through Kosrae's verdant jungle. Paddle a sea kayak or a native outrigger canoe through the vast channels of Kosrae for a truly exhilarating trip into the womb of the marine world. 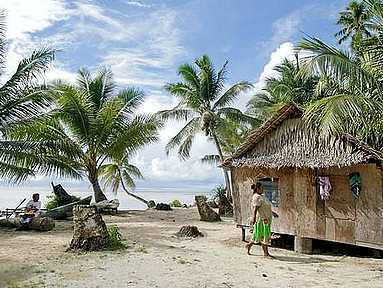 Kosrae offers a restful , scenic visit in the FSM. 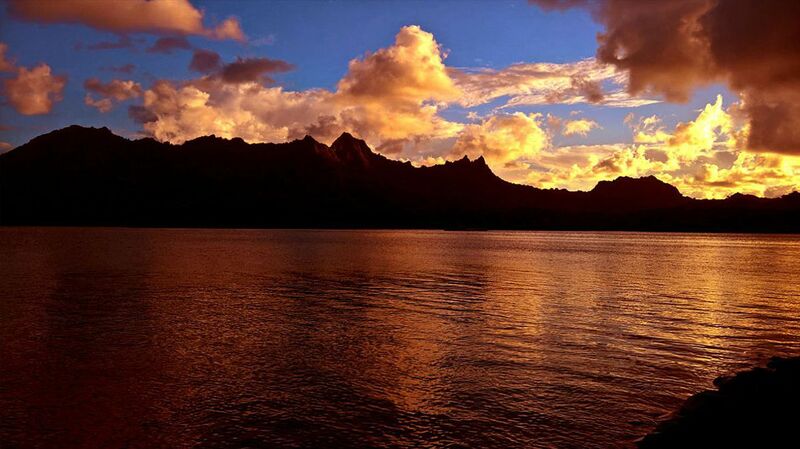 Kosrae is known for its virgin reef and pristine waters, visibility up to 200+ ft. and thriving hard coral society. More than 50 dive sites have been identified by local diving pioneers. Each has been marked with a buoy to prevent improper anchoring, leaving Kosrae's reefs pristine and ripe for exploration. Beutiful hard coral gardens give way to plunging walls. 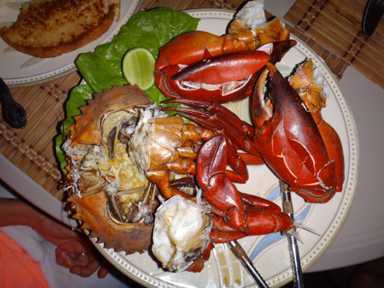 Sharks, dogtooth tuna, barracuda schools and other exciting ocean citizens can all be encountered. Night dving here is exciting with the clear water allowing moonbeams to funnel through and illuminate the reef naturally. All sorts of odd creatures come out at night and divers can wathch the noctunal realm of the marine world unfold. 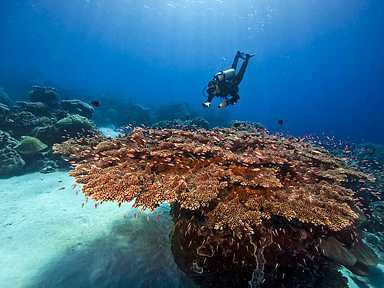 Kosrae's reef are always uncrowded and a superb venue for seeing Mother Ocean's wonders. The famous mangroves of the island present a world of opportunity to see nature in all of its peace and solitude. In some places they form a high jungle canopy where channels rise and fall with the tides. Immense root systems and a myriad of animal and plant life flourish in these complicated ecosystems. Kosrae has had the foresight to set aside large tracts for its marine park and the result is one of the most pristine mangrove areas in the wolrd, complete with rare indigenous trees and wonderful birdlife.